is finished with sand/talcum. The lower surface is protected by a thermofusible film. Reinforcement = 250 gr. 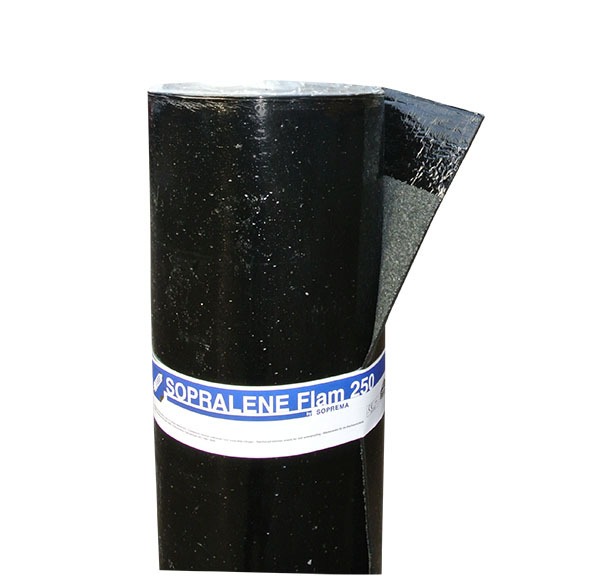 SOPRALENE FLAM 250 TF has a CE Marking: EN 13707.